The runway is frequently seen as the key capacity bottleneck at the airport. 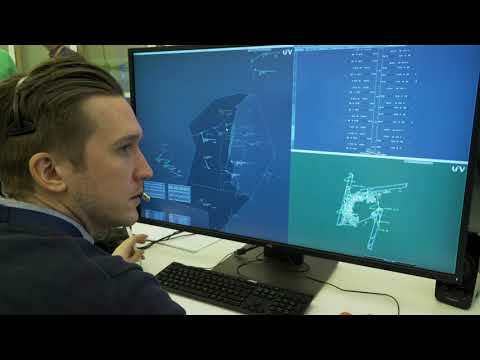 SINTEF is involved in the development and validation of a system that enables tower and approach controllers to optimise mixed arrival and departure runway operations while ensuring safe operations. The Integrated Runway Sequencing Function merges the arrival and departure flow, reacts to real-time information and maintains stable and optimal runway sequences while satisfying separation constraints. The software utilizes our ATC Optimisation Library (MADMAN). The runway sequencing is based on state of the art research in reactive optimization algorithm development. The algorithm is triggered by changes in information received from the AMAN and DMAN, for example, new flights, target landing times, target off block times, runway closures or manual input. Sequences are optimized to meet the target times, but sequence changes are only made when it results in a significant improvement. The algorithm also performs automatic balancing between runways, e.g., to reduce delays due to a runway closure. The Integrated Runway Sequencer (IRS) was validated to V3 level in a real-time simulator in SESAR W1 project PJ02. Compare with an environment where the AMAN and DMAN were used separately, the introduction of the IRS resulted in a reduction in delays and fuel-burn while consistently increasing the runway throughput.